Subscribe to our newsletter and you can get new blog posts emailed as well. 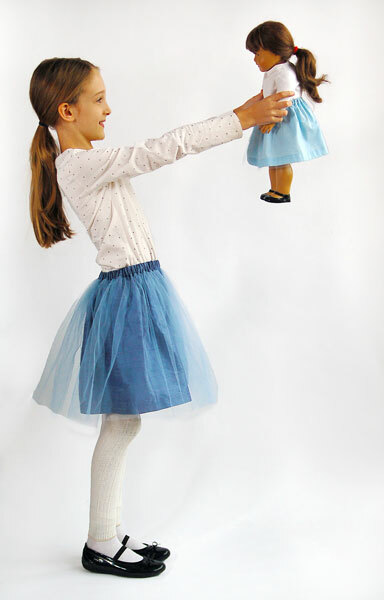 The Onstage Tutu Skirt makes a great last-minute sewing project when you need the perfect gift for a girl and her doll. 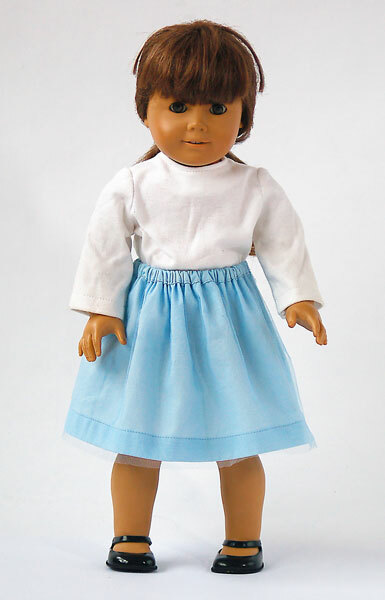 Guaranteed to put a smile on her face, and yours, this simple and fast project goes together with a minimum of seams. 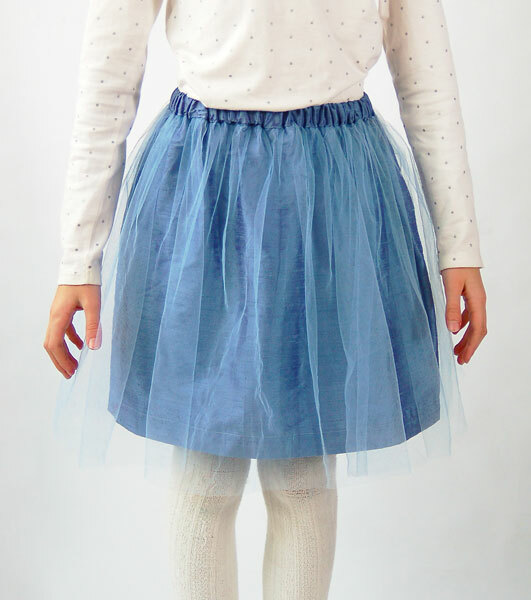 The creative waistband construction eliminates extra bulk and prevents the tulle from getting itchy at the waist. You'll need only a few supplies for this project: a little fabric, a little tulle, elastic, and thread. The instructions call for a single layer of tulle, but you could use two layers to make a fancier version of the skirt if you like. 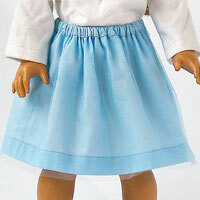 Instructions for the doll skirt are included in the regular instructions. Interested in sewing along with with a detailed photo tutorial? 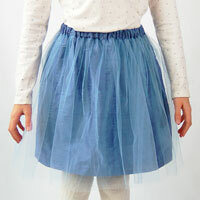 Check out day 1 and day 2 of the Onstage Tutu Skirt sew-along on the Oliver + S blog.